← Let Those Who Have Ears, Hear. Fr. Alfred Delp, S.J., Ora Pro Nobis! Fr. Alfred Delp‘s life and writings have inspired me for years. He had a special devotion to Christ present in the Church cycles of Advent and Christmas and most of the reflections he left us on this topic were written while his hands were cuffed together while in a Nazi prision prior to his death by hanging on this date (February 2) 1945. During his imprisonment, Fr Delp wrote a friend and, in his characteristically straightforward style, advised his friend that, following his death, his parents would probably begin to embellish his life and that no one should believe them because he was “a brat” when he was growing up. On this beautiful Feast of the Presentation, let’s ask Fr. Delp to present us and our needs to the Lord Jesus in heaven today. I especially pray for the grace of final perseverance that Fr. Delp, and all the saints, obtained from God. 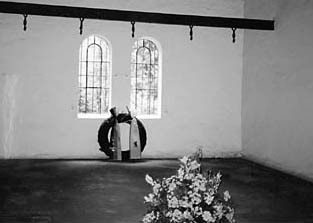 “Alfred Delp was a German member of the Society of Jesus, who was executed for his resistance to the Nazi regime. Alfred Delp was born in Mannheim, Germany, to a Catholic mother and a Protestant father. Although baptized Catholic, he was raised and confirmed a Lutheran. At the age of 14 he left the Lutheran church and received the sacraments of First Eucharist and Confirmation as a Catholic. In his later life Delp was a fervent promoter of better relations between the churches. Delp joined the Jesuits in 1926. In the next 10 years he continued his studies and worked with German youth, made more difficult after 1933 with the interference of the Nazi regime. 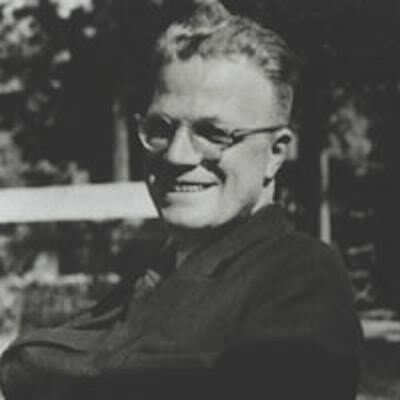 Delp was ordained in 1937. Unable for political reasons to continue his studies, Delp worked on the editorial staff of the Jesuit publication Stimmen der Zeit (Voice of the Times), until it was suppressed in 1941. He then was assigned as rector of St. Georg Church in Munich. Delp secretly used his position to help Jews escape to Switzerland. Concerned with the future of Germany, Delp joined the Kreisau Circle, a group that worked to design a new social order. He was arrested with other members of the circle after the attempted assassination of Hitler in 1944. After suffering brutal treatment and torture, Delp was brought to trial. While he knew nothing of the attempted assassination, the Gestapo decided to hang him for high treason. “It does happen, even under these circumstances, that every now and then my whole being is flooded with pulsating life and my heart can scarcely contain the delirious joy there is in it. Suddenly, without any cause that I can perceive, without knowing why or by what right, my spirits soar again and there is not a doubt in my mind that all the promises hold good…. Outwardly nothing is changed. The hopelessness of the situation remains only too obvious; yet one can face it undismayed. One is content to leave everything in God’s hands. And that is the whole point. Happiness in this life is inextricably mixed with God. Fellow creatures can be the means of giving us much pleasure and of creating conditions which are comfortable and delightful, but the success of this depends upon the extent to which the recipient is capable of recognizing the good and accepting it. And even this capacity is dependent on our relationship with God.” Fr. Alfred Delp S.J.